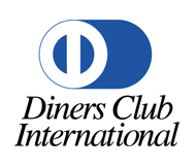 American Express has revealed the country’s most coveted culinary list, the American Express Platinum Fine Dining Awards. 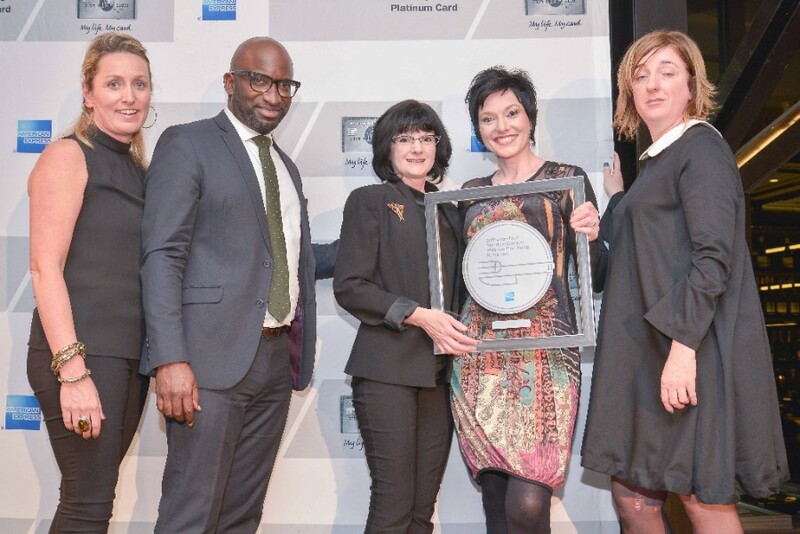 Johannesburg’s hottest new restaurant, Marble, was the location for South Africa’s premier dining awards ceremony as American Express paid tribute to the chefs and restaurants that are changing the game in the pursuit of delivering the perfect culinary experience. 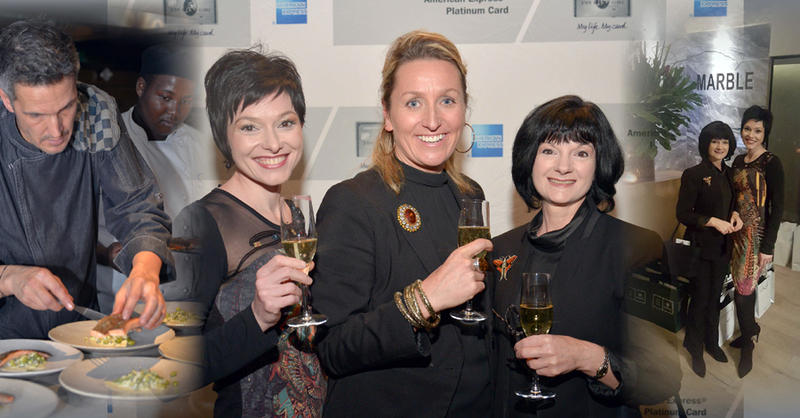 We are proud to announce that for the 10th year running, Mosaic was awarded with the American Express Platinum Fine Dining Award. Thank you to the team from American Express for making this event so special every year, it was wonderful to meet up with all our good friends from the industry. 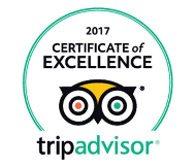 And a special thank you to the entire Mosaic team, without your hard work and dedication, this would not have been possible! 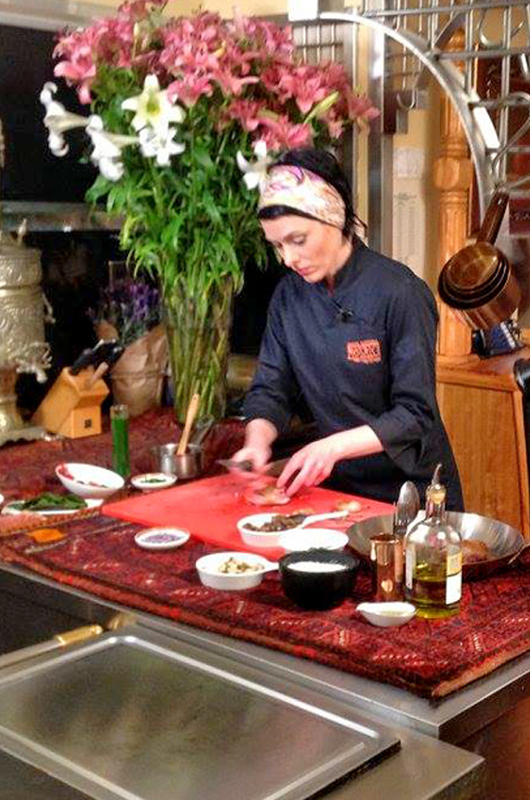 It’s a year of celebrations at Mosaic and Chantel is recreating some of the most unforgettable dishes of the past decade to commemorate Mosaic’s 10-year Anniversary. We offer you a glimpse of “Celebration of Spring”, a delicate new dish that forms part of the new Celebrations Menu that launched on Friday 23 September 2016. “As the sweet scent of flowers fills the air, the temperature slowly starts to change and blossoms appear all around, I am tempted to spend more time outside. 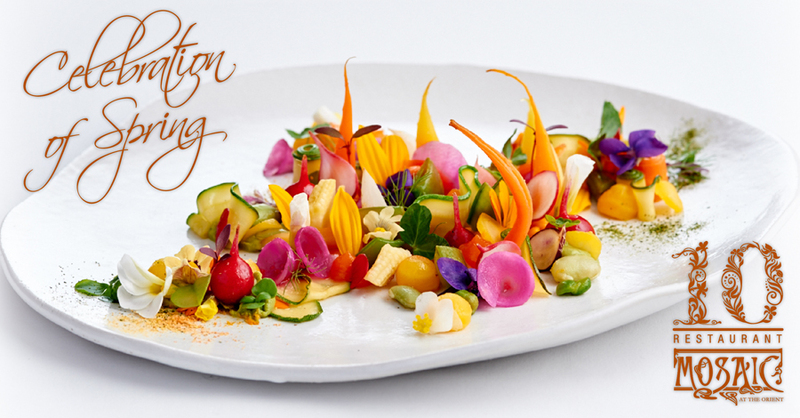 Inspired by one of the greatest chefs in Europe “Celebration of Spring” is my ode to Chef Michel Bras. This dish is a true reflection of spring capturing the freshness of the season, fragrances in the air and the vibrancy of colour emerging from the soil. I have created an elegant, light, floral and vegetal dish combining marinated and fresh young vegetables of the season. 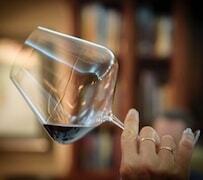 At Restaurant Mosaic we are known for our meticulous approach to food and wine pairing. Our Sommelier Team and Chef Chantel Dartnall work together closely with the rest of the Mosaic-team in deconstructing each ingredient in every dish to achieve the “Perfect Pairing”. We understand the chemistry between food and wine – the symphony of tastes between Chantel’s Botanical Creations and the wine ultimately paired with every dish speaks of love and passion. With every new dish we add to our Seasonal Menu, Chantel, Germain and myself team up with the kitchen and waiting staff and every Tuesday we participate in a deconstruction tasting, where we taste each ingredient Chantel wants to incorporate into her envisioned dish. These ingredients are tasted individually with the chosen wines the cellar team selected; this ensures that we find the perfect pairing. For Restaurant Mosaic’s 10-year anniversary, some of Chantel’s best dishes of the last decade will be incorporated in her new Summer Celebrations Menu. 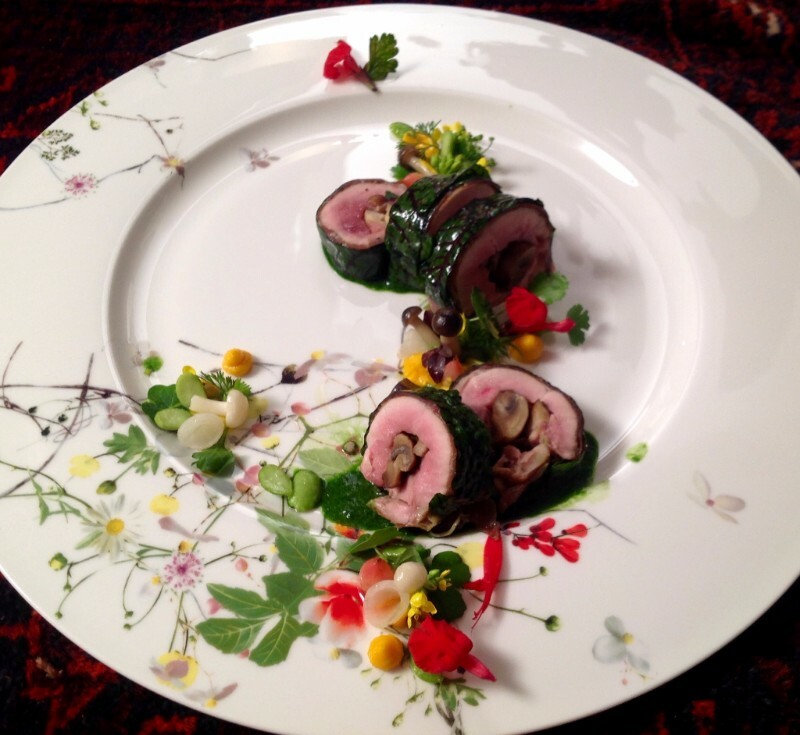 She has chosen to celebrate summer with a “twist” of her memorable Queen Quail brushed with Raw Acacia Honey, enhancing the earthy, vegetative flavours with a light and aerated Spinach Velouté combined with Port and fresh seasonal garden peas and Edamame beans. Although the dish still features the Raw Acacia Honey as before, this time she has incorporated a slight floral scent of fresh lavender petals in the honey. 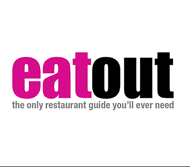 The Quail Breasts are pan seared and served beautifully pink, brushed with the decadent honey, while the Quail Legs are slow roasted with fragrant pepper and Maldon salt to create a crispy contrast. 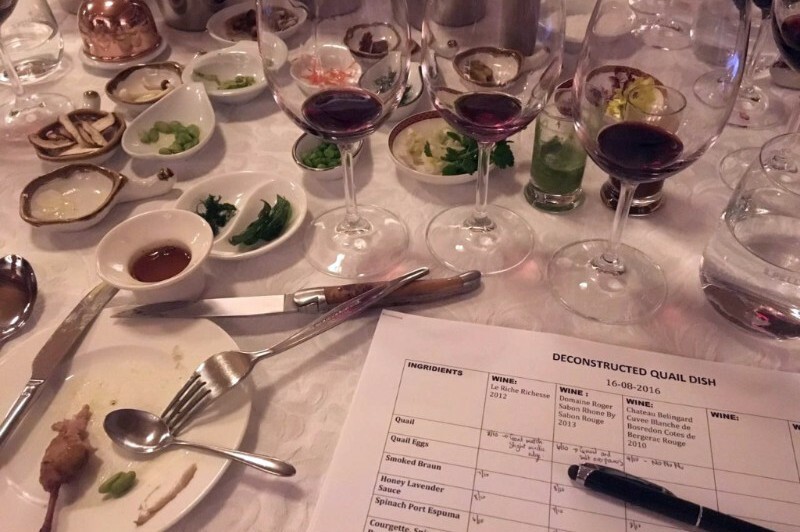 The first round of the deconstruction tasting of the Queen Quail took place on Tuesday 09 August, where Chantel, Germain, myself and several of the kitchen staff were ready to select our first flights of wine. 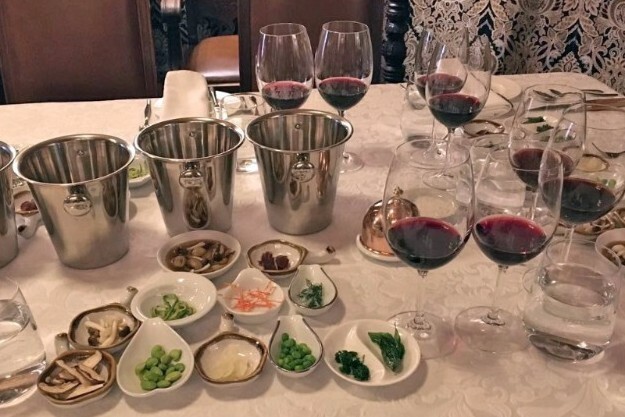 True to the Mosaic tradition, Chantel first served all the proposed ingredients of her dish individually in order for us to taste the chosen wines with each separate ingredient to find the perfect match. Out of the first wines selected for the tasting the Château Bélingard Cuvée Blanche de Bosredon 2010 – a Bordeaux style blend from Bergerac in France, showed initial promise, but after tasting the wine with the individual ingredients and some careful consideration the wine was eliminated – although it is excellent in itself, it was completely overpowered by the earthy flavours of some of the dish’s components. From the above Germain and I discussed and tasted various options and based on the flavour profile of the ingredients presented, decided to open the more elegant Domaine Roger Sabon Rhône by Roger Sabon Rouge 2013 – a Southern Rhône blend with 80% Grenache, 10% Syrah and 10% Cinsault. 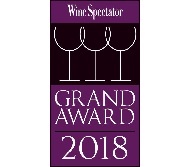 An immediate success and excellent choice, as the lovely fruit driven wine married seamlessly with Chantel’s vision of a summery dish and was therefore selected as the most suitable candidate for our Connoisseur Wine Pairing. 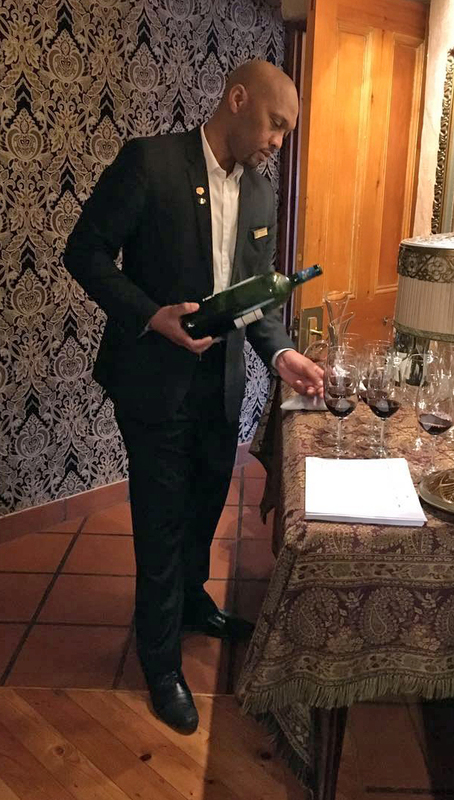 For our Enthusiast Wine Pairing we ended our tasting by deciding upon the Le Riche Richesse 2012 – a classic Bordeaux style blend made by Christo le Riche as a first careful choice. The subtle tannins and medium body showed very well initially however after tasting the wine with all the ingredients, we were undetermined. We finally concluded that the wine was a good fit overall, however not yet perfect and we decided to taste the wine again with the Roger Sabon during the next round, while Chantel also undertook implementing some changes in the ingredients to “tweak” the final dish to perfection. 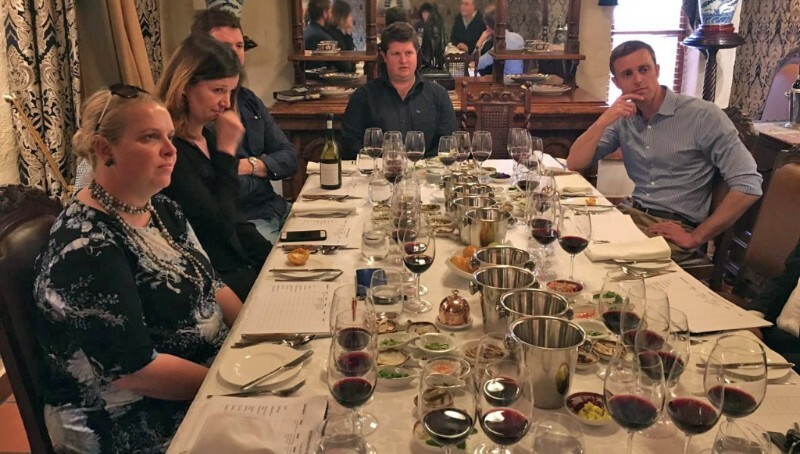 We were very excited and honoured when, a week later, three of the top young winemakers in South Africa joined us on Tuesday, 16 August for a follow up on the deconstruction tasting of the Queen Quail. We were interested in gaining their perspective as they hail from very different wine regions and make wines in completely different styles. 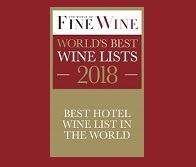 Christo le Riche (Le Riche Wines in Stellenbosch), Justin van Wyk (Constantia Glen in Constantia) and David Sadie (with his own independent label in the Swartland) participated in the creative process with Chantel, and myself representing the cellar team in Germain’s absence (he was judging at the Michelangelo Awards in Cape Town). We began by tasting our chosen wines from the previous week with the individual ingredients proposed by Chantel. 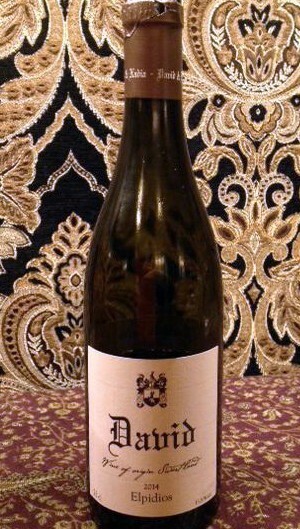 The uncomplicated Domaine Roger Sabon Rhône by Roger Sabon Rouge 2013 again showed beautifully and was an immediate favourite around the table. The wine perfectly elevated the vegetative, earthy flavours of the dish, making it an obvious match for a summer celebration! Next up was the Le Riche Richesse 2012 with its typical flavours of red berries and prominent cherries, supported by fine, soft tannins. The wine proved on this occasion to be a little overpowering and it was agreed by everyone around the table that it would be more suitable for a winter/autumn menu with Chantel’s old time favourite red wine jus. No doubt delectable, but not the Chef’s vision for her new Summer Celebrations Menu and light ethereal sauce. As a special treat for our guests we brought back the Château Bélingard Cuvée Blanche de Bosredon 2010, to show the winemakers the process of elimination we followed with our initial tasting. Much to our delight the consensus around that table was that indeed the wine was not a suitable pairing – as stated by the winemakers, “the dish is full flavoured and elegant while the wine loses its body and simply disappears between the symphony of flavours on the plate”. 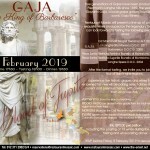 We discussed various different wines to replace the Richesse as a viable option for our Enthusiast Wine Pairing, with the winemakers sharing their insights into the various wines available, their specific flavour profiles and if it could be a suitable match for the earthy flavours of the Queen Quail. 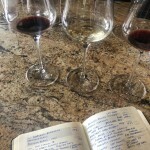 The brainstorming session with Christo, Justin and David proved invaluable and after some lively conversation and careful deliberation, David offered to open a bottle of his Elpidios 2014. It was immediately agreed by everyone that this niche red blend consisting of mainly Shiraz and Carignan with some Grenache, Cinsault and Pinotage, proved to be a winning combination, elevating the earthy flavours of the dish, and highlighting the full flavoured aerated Spinach Velouté – perfectly matching Chantel’s vision of a summer celebration! Christo’s Richesse will be put back in the cellar to sleep a little longer until next year, to be unearthed by Chantel for her Winter Menu. 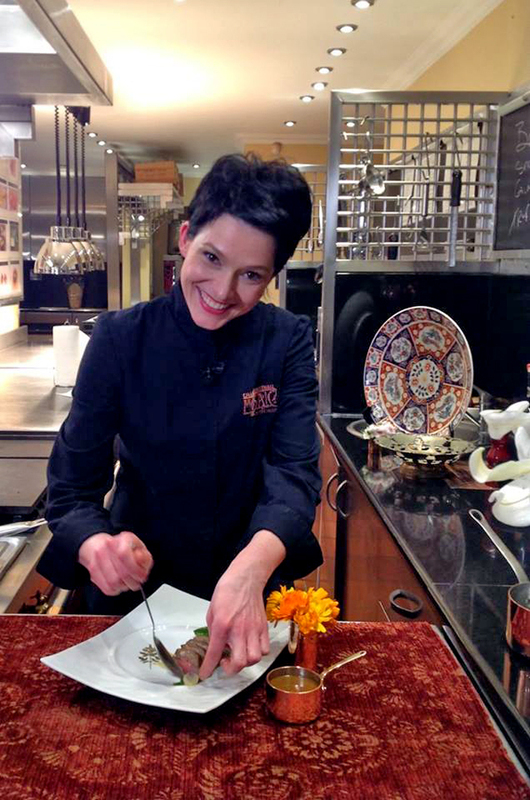 As a final touch Chantel had a surprise in store and unveiled the most beautiful plates, purchased in Paris at Galeries Lafayette, during our recent trip to France, especially for her Summer Celebrations Menu! The delicate floral design on the crisp white plate is the perfect canvas for this culinary masterpiece! We want to thank Christo, Justin and David and their “chaperones” Minette and Jeanine for being a part of the creative process and feel honoured to have their invaluable advice and stamp of approval! Look out for this “Perfect Pairing” on Chantel’s new Summer Celebrations Menu! Pour the apple juice into a small saucepan, add the sugar and bring it to a boil. Simmer until the sugar has dissolved completely. Add the lemon grass, ginger, rooibos tea bag and cinnamon sticks and boil for one minute. Remove the saucepan from the heat and add the lemon verbena leaves. Pour the tea into a jug, cover and refrigerate overnight. To use as a morning tea, heat the desired amount in a small pot, add a squeeze of fresh lemon juice and serve hot. To make iced tea, boil a cup of sugar with a cup of water to make a basic sugar syrup. Add a sprig of lemon verbena and one cinnamon stick, and refrigerate until needed. To serve, add one cup of the brewed tea and two tablespoons of the sugar syrup to a highball glass filled with ice and stir well. Serve with a fresh apple slice or two and a cinnamon stick for stirring. 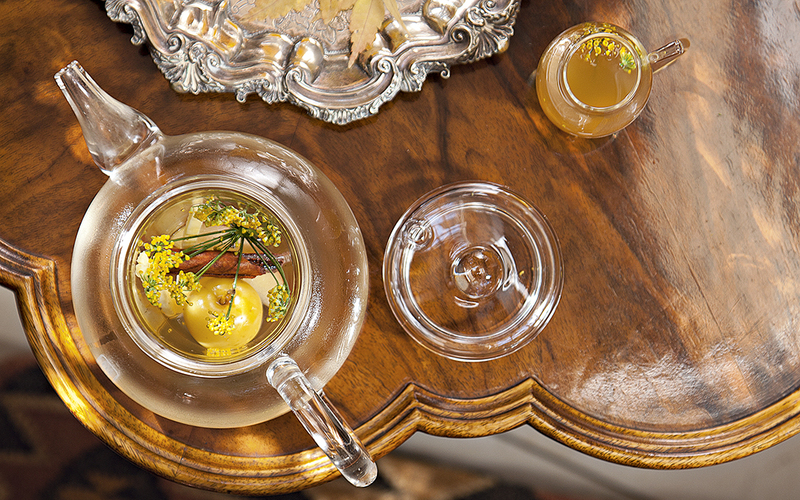 Garnish with fennel flowers. KANONKOP – WHERE THE BIG GUNS ROAR! 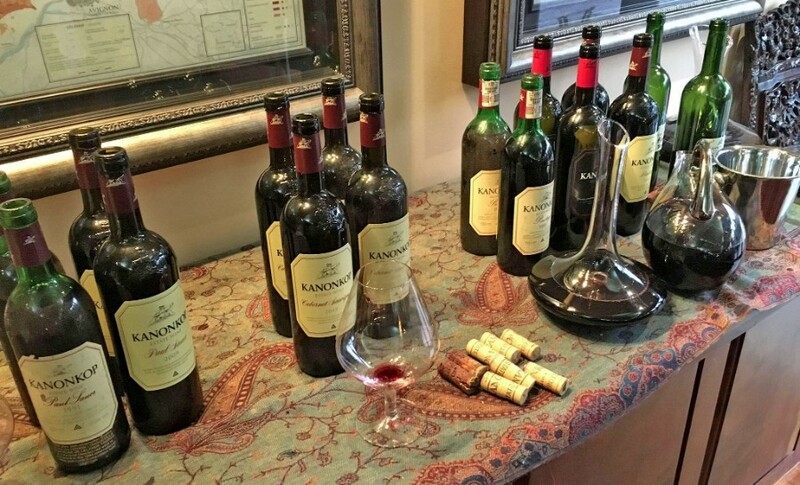 Abrie regaled our guests with stories from Kanonkop’s past and we were treated to some memorable anecdotes of his favorite memories of previous winemaker Beyers Truter – responsible for some of Kanonkop’s earliest successes! 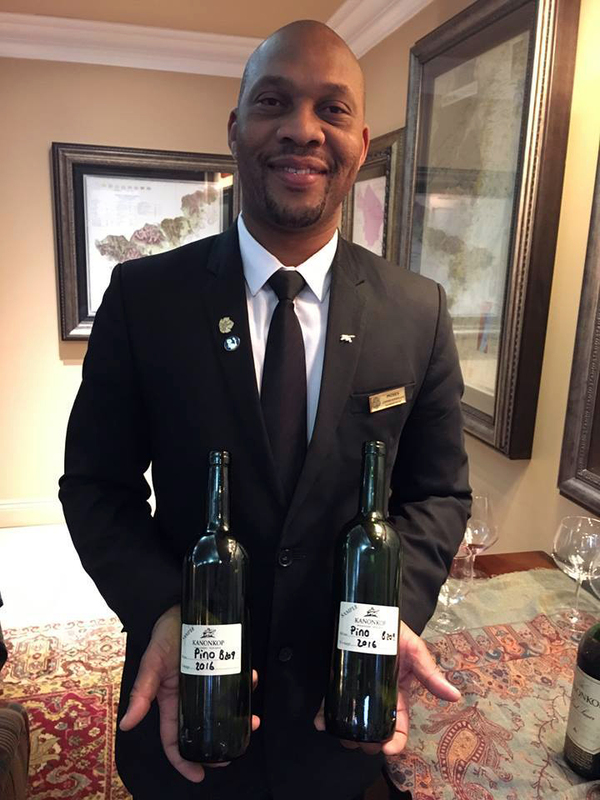 He also surprised our guests and us by serving a few bottles of the 2016 vintage from the barrel – which we can humbly say we had a hand in making on our visit to the Estate during the harvest this year! What a special treat! 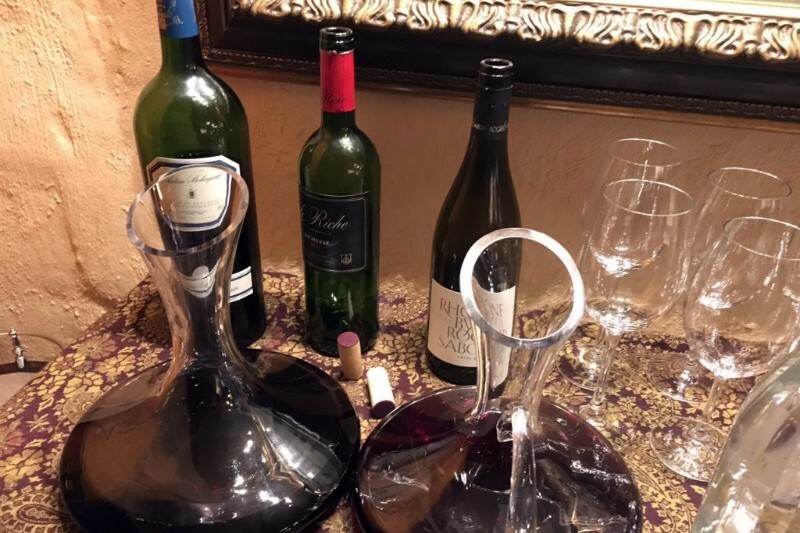 We were then treated to some incredible wines of the highest caliber, beginning with the award-winning Pinotage 2012 – a complex wine with notes of red fruit and elegant tannin structures. We then took a step into the past with a vintage beauty made by Beyers Truter! The Platter 5 Star 1991 Pinotage is a full-bodied wine showing pronounced flavours of dark fruit, banana, smoke, cassis, oak spice and vanilla. 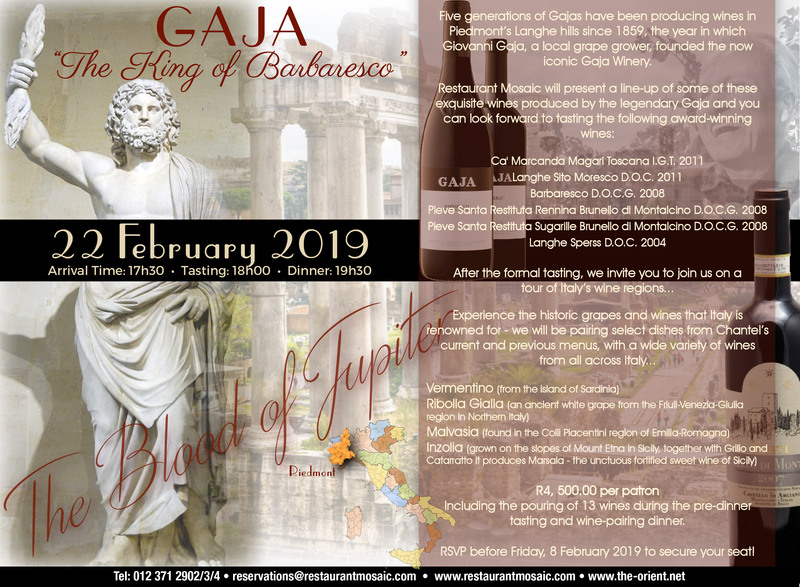 Some of the wines tasted during the lineup includes their flagship the Pinotage Black Label 2012 – there are only 1 500 bottles of this single-vineyard sourced from a 60-year-old block. Next up was a comparison of the recent 2012 and Platter 5 Star 2004 Cabernet Sauvignon which proved the age ability of the cultivar. Last but not least we tasted the Paul Sauer 2009 – for which Kanonkop became the first winery in the world to win best blended red wine for the fourth time at the prestigious International Wine & Spirit Competition and finally said our encore with another beauty produced by Beyers Truter – the very special Paul Sauer 1991 – still perfect after all these years! An incredible evening of stellar wines and a humble yet talented winemaker that we are sure to treasure for many years to come! Promising to be every bit as entertaining, inspirational and tantalising as its predecessors, DEKAT’s sixth lifestyle TV series kicks off on kykNET (DStv, channel 144) in a brand new time slot on Thursday, 6 October 2016 at 17:30. This beautifully colour portrayal of a mountain landscape was painted in the leafy forests surrounding Worcester in the Western Cape. Naudé managed to capture the qualities of the dry autumn leaves, rustling in the wind dancing through the branches. The trees on both sides of the painting creates a window which forms the focal point of the painting and guides the viewer’s eye towards the mountains in the background. The bright yellow tones used to portray the leaves in the foreground, together with the vivid green tones of the undergrowth, contrast with the subdued palette he used for the mountains and sky in the background. The muted colours not only creates depth but makes the mountain less prominent, moving them into the background. 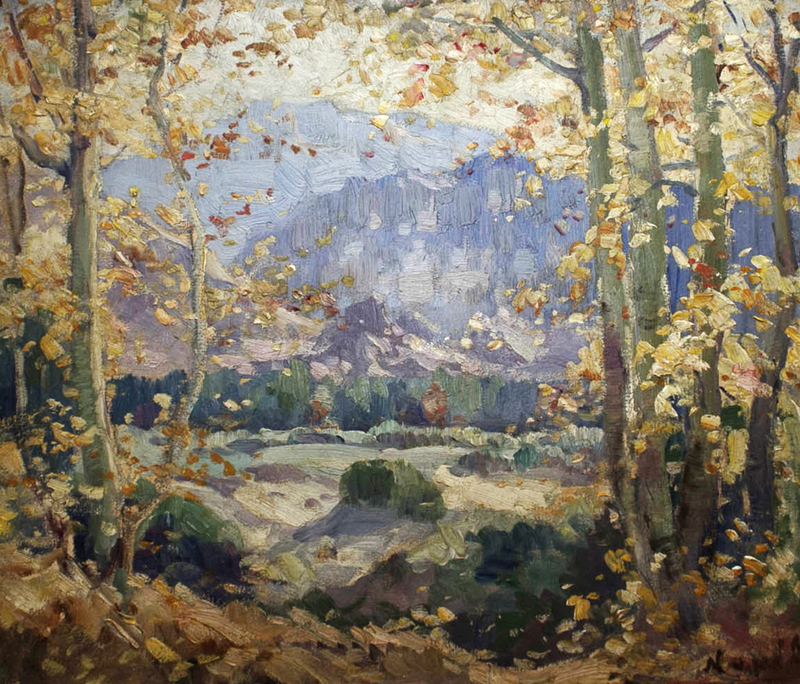 Naudé uses colours reminiscent of autumn, when leaves begin to fade and lose their colour, reflecting the continuous changes occurring in nature. His profound understanding of light and shadow is evident in his use of contrasting dark colours and lighter tones used to illustrate the near distance. His abundant infusion of white, creates volume and adds the illusion of sunlight bursting through the trees. 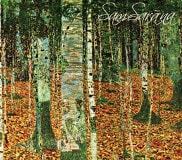 Naudé uses short, thick brushstrokes, typical of his Impressionistic style, to build shapes and texture and resemble leaves falling on the forest floor. It portrays the differences that harmoniously come together to form the ever changing seasons of nature. The flowing lines of the trees create contrast to the short, detached brushstrokes. The multi-coloured leaves frame the painting, allowing the viewer a glimpse, as if through an imaginary window, at the far away mountains. 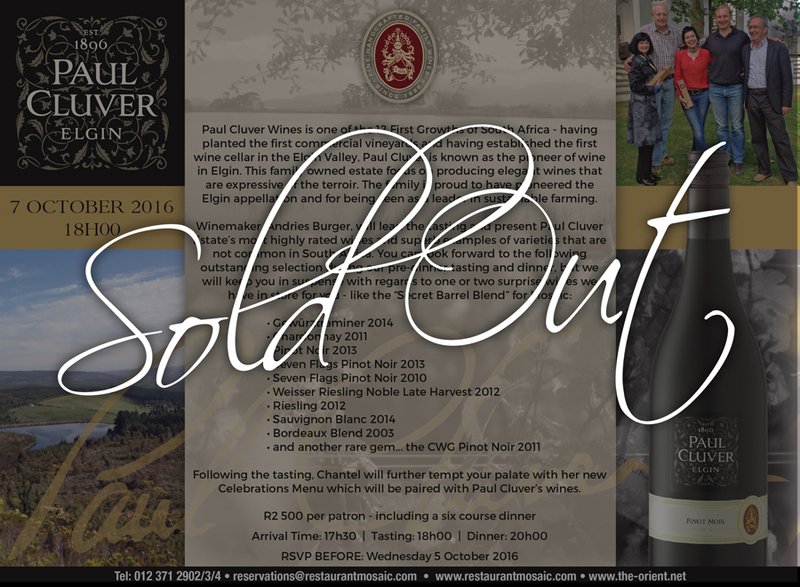 Paul Cluver Wines is one of the 12 First Growths of South Africa – having planted the first commercial vineyards and having established the first wine cellar in the Elgin Valley, Paul Cluver is known as the pioneer of wine in Elgin. 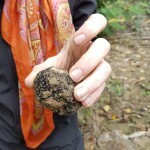 This family owned estate focus on producing elegant wines that are expressive of the terroir. 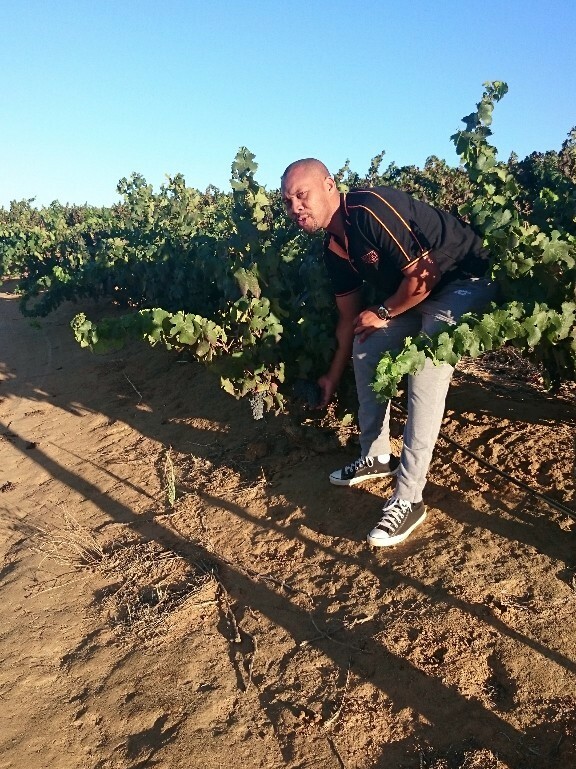 The family is proud to have pioneered the Elgin appellation and for being seen as a leader in sustainable farming. 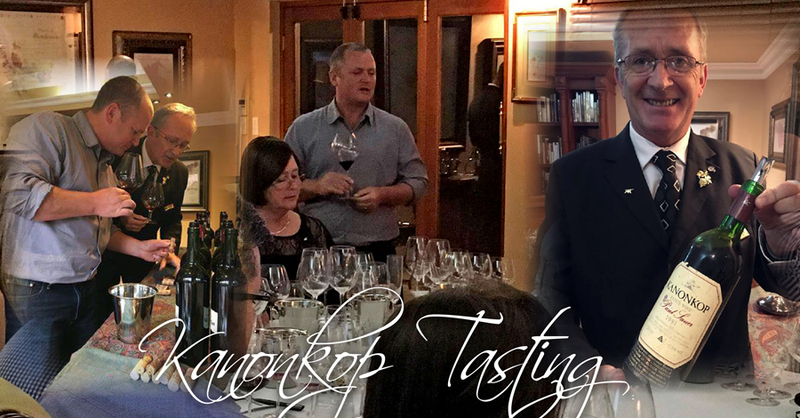 Winemaker, Andries Burger, will lead the tasting and present Paul Cluver Estate’s most highly rated wines and superb examples of varieties that are not common in South Africa. Following the tasting, Chantel will further tempt your palate with her new Celebrations Menu which will be paired with Paul Cluver’s wines.